The Wall Street Journal reports that, “The board of directors of the Versailles Château voted Friday to approve a plan to rent out buildings in the grounds of the castle to French hotel group Lov Hotel Collection and celebrity chef Alain Ducasse.” It’ll have 20 rooms and a restaurant created by the Michelin-starred Ducasse plus a spa and “a terrace with a view of the Versailles orange grove and the Bosquet de la Reine gardens.” The joint will open 2018, which gives you just enough time to sell the necessary kidney. The Michelin-starred chef and his company Lov Hotel Collection have been commissioned to transform an ensemble of three buildings called the Grand Contrôle, the Petit Contrôle and the Pavillon des premières cent marches, situated next to the palace’s Orangerie, the management said on Monday. Which is perfect, because the word “Orangerie” evokes candied oranges, which are the height of luxury, because only an 18th Century French aristocrat would have not just the means to cultivate citrus, but also be willing to risk wasting his sugar and his citrus if the results were disgusting. But it’s not like the French spirit has ever reacted violently to the doings of a bunch of rich people at Versailles, so it’s probably fine. 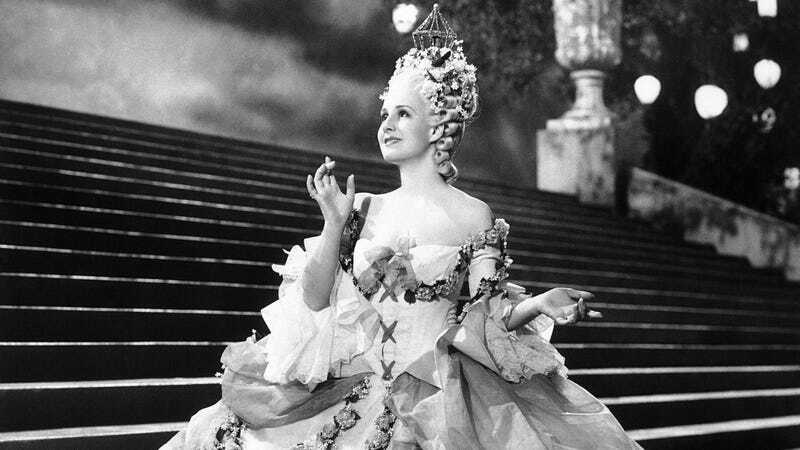 Photo of Norma Shearer in Marie Antoinette via AP Images.